Exciting news for How to Catch a Monster! 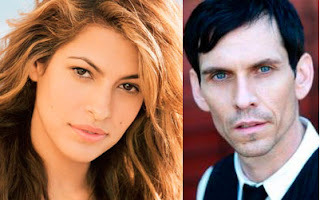 Bloody Disgusting received exclusive word that Eva Mendes (Ghost Rider, 2 Fast 2 Furious) and Rob Zabrecky have been cast in Bold Films’ How to Catch a Monster, which is to be directed by Ryan Gosling. They join the previously announced Christina Hendricks and Ben Mendelsohn. We’re told that Mendes will play “Cat,” a prominent figire of the Big Bad Wolf Club. Zabrecky is to play a cab driver. I think Eva is perfect for Cat and the cab driver is called Rob so maybe Ryan had Zabrecky in mind the whole time? We can't wait for shooting to start and to find out who will be cast as Bones and Frankie.